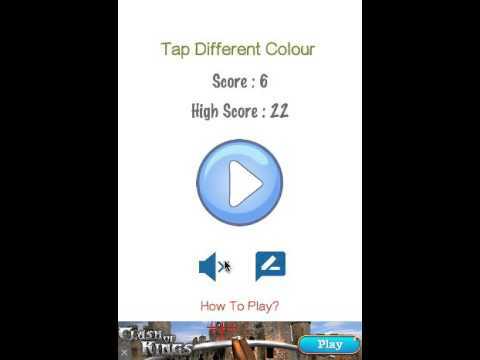 Tap different colour is a game on colours.Four cards are given , three of same colour and one is slightly darker or lighter than other colours , you have to guess different one.You can test you ability that how fast you differentiate colours.There are more than 100 colours in game. It's really fun to play , specially for kids. It's very easy to reskin , you just need to change 14 images including all backgrounds , cards and buttons. Reskin instruction is given in PDF file included in the package.